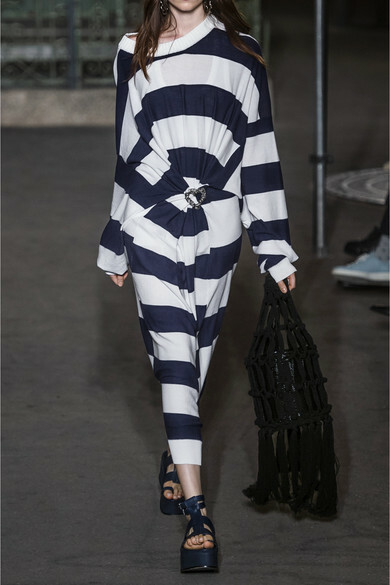 Sonia Rykiel's Spring '19 collection pays homage to "the lyricism of everyday life" in Saint Germain des Prés. 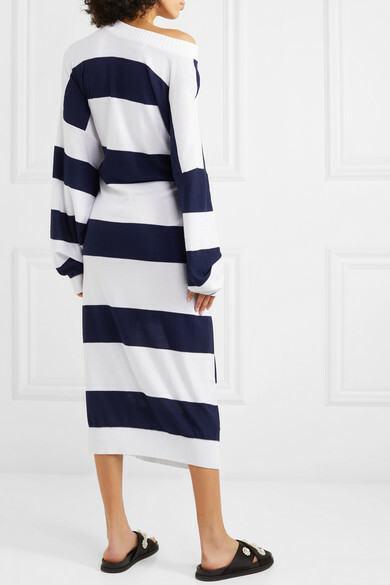 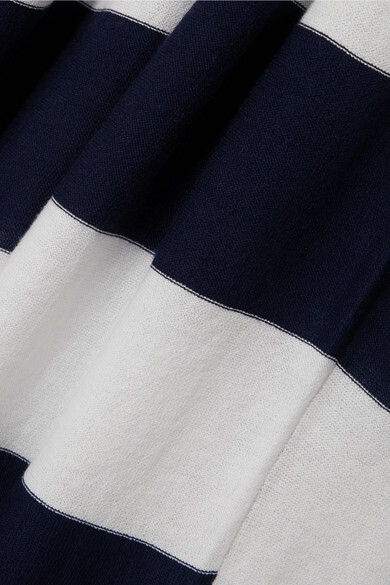 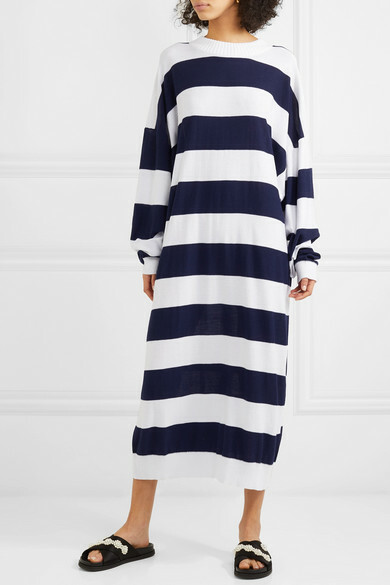 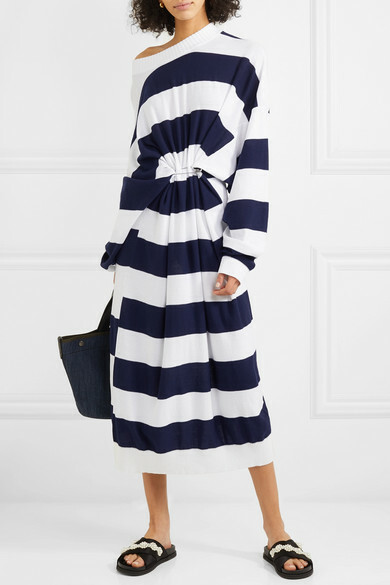 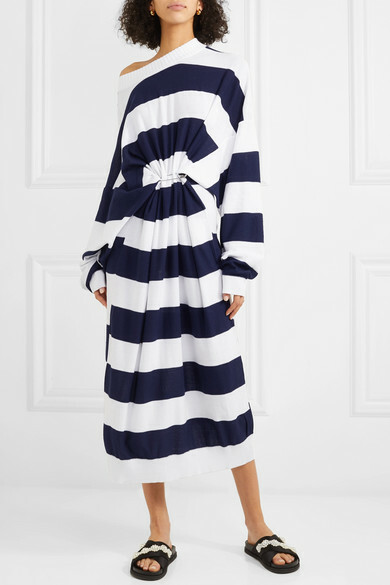 Worn on the Paris runway, this oversized maxi dress is knitted from cotton and wool-blend and spun with graphic navy and white stripes. 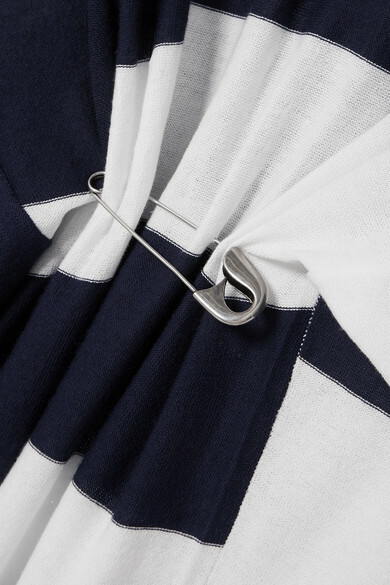 We can imagine the late founder would have worn it around the Parisian neighborhood, using the silver pin to create artful gathers.